A pure white variety which boasts attractive star shaped flowers on short fleshy stems. These fragrant bell shaped blooms that are fabulous for planting in containers and outdoors. 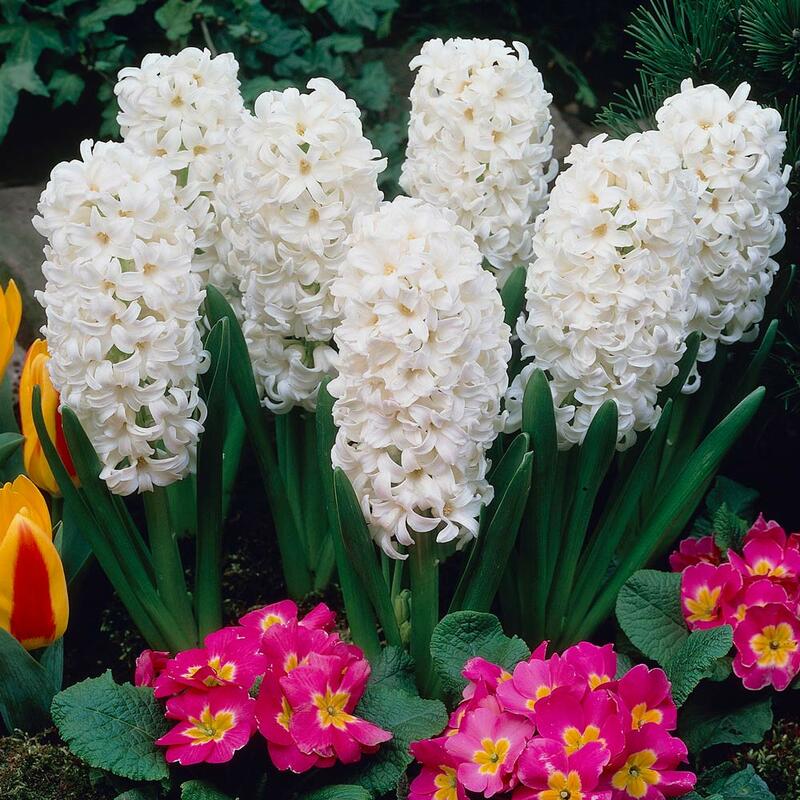 For best results plant in full sunlight, outdoors these hardy plants will flower through throughout March and April, for an amazing six weeks in an optimum season. 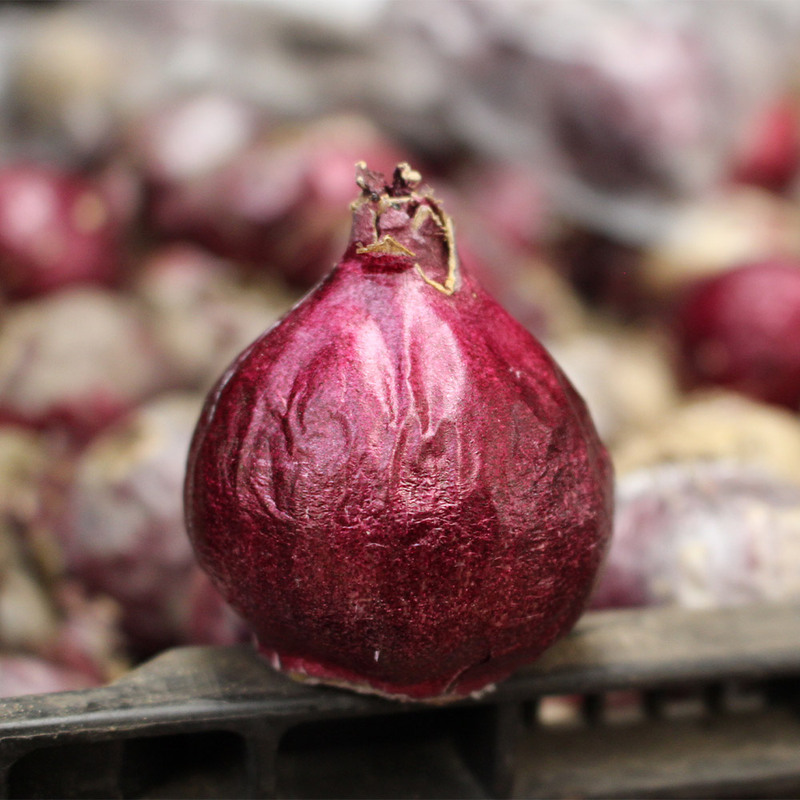 14/15cm bulbs supplied. 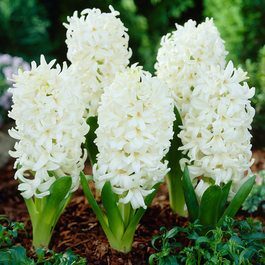 Choose top sized hyacinth (17/18cm) for pots or when you want enormous flower heads, or go for some bedding size bulbs (14/15cm) if you need hyacinth for general garden planting outdoors where the flower size is good but not too heavy to need support. Take some care to protect from strong frosts in the winter if planted in the garden.